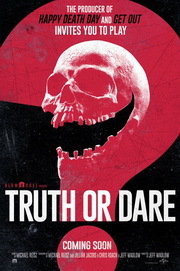 Demon's voice says "Truth or Dare" at end. Not worth staying for. Fairly good horror. Suspenseful and a decent plot.